See how these bakers put together a tree cake filled with exotic birds. See the amazing details in this enchanted and edible fairy forest. These bakers make beautiful steak and chicken tacos ... out of cake! The team gives a bride-to-be a jolly proper send off with a Big Ben cake. The artists create cakes that look exactly like Chinese dishes. See what makes this dress cake the biggest wedding cake in all the land. The Vegas Cakes crew cruises in style with this classic car cake. 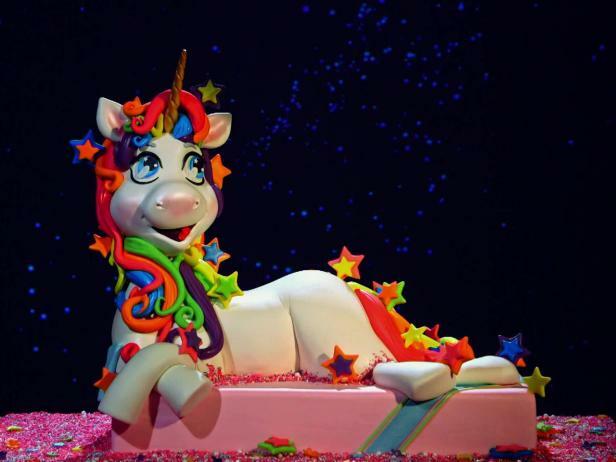 The Vegas Cakes crew proves dreams come true with an amazing unicorn cake. Marine Corp veterans celebrate their reunion with an explosive looking cake, and a local bar gets an incredible tiki-themed confection. Later, the Freed's team does a balancing act when UNLV orders a giant diamond cake with a mustache for their 60th anniversary.